KAATJE JANSSEN--Desperate to know if her missing husband still lives, Kaatje hires the rugged, yet tenderhearted James Walker to guide her through the perils of the Alaskan wilderness. What she finally discovers, however, is far from what she expected--and could well place her in the greatest danger of her life. TORA ANDERS--Her foolish youth behind her, Tora looks forward to her wedding and a fresh start in life as the wife of her beloved, Trent Storm. But first she must confront, face-to-face, the terrible demons of her past--and her struggle to forgive the man who radically altered her future. KARL MARTENSEN--Though he is widely admired, Captain Karl Martensen feels no depth of emotion for any of the women with whom his life becomes uncomfortably entangled. He has only tender memories of the love he once lost--a love that, by the grace of God, he just may find again. 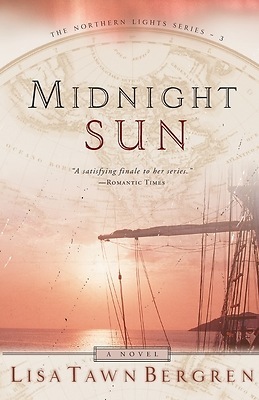 From the fierce Alaskan wilderness to the gaiety of San Francisco society; the familiar peaks of Bergen, Norway, to the dark, churning waters of Cape Horn; witness the glorious conclusion of the Northern Lights family saga as four long-time friends journey out of the shadow of their darkest days into the bright future awaiting them in the land of the Midnight Sun.